French composer Cyrille Aufort started composing music for the theatre, short films and animation films before working extensively in the cinema. While working as an orchestrator for Alexandre Desplat, Aufort's first major composing credit was Vincenzo Natali's DNA-based sci-fi horror Splice, starring Adrien Brody and Sarah Polley. In 2012, Aufort and Gabriel Yared co-composed the score for A Royal Affair, the historical drama starring Alicia Vikander and Mads Mikkelsen. His more recent credits include Yann Gozlan's A Perfect Man, Avi Nesher’s Past Life as well as the new Arctic-themed documentaries of March of the Emperors' Luc Jacquet: The Ice and the Sky and L'Empereur. The score is anchored by a strong network of themes, driven by Knock’s own propulsive theme, full of plans and hopes. While this theme is one for departure and motion, the theme for Adèle lends a feminine charm to the narrative. It perfectly compliments Knock’s restless personality with a childlike wonder recalling the sound of a magical music box. In order to bring two such wildly different characters together, Aufort proposes a third musical element, something a little more romantic to characterize the mutual attraction between the two protagonists ("Adèle and Knock", "Farewell to Adèle"). The odious Lansky (a character who knows the truth about Knock) has his own espionage-flavoured melody. The release of Knock marks a shift in MovieScore Media's distribution strategy. Going forward, MovieScore Media will focus on album production and digital distribution, sub-licensing rights for physical releases to other labels who specialize in the CD and/or the vinyl market. 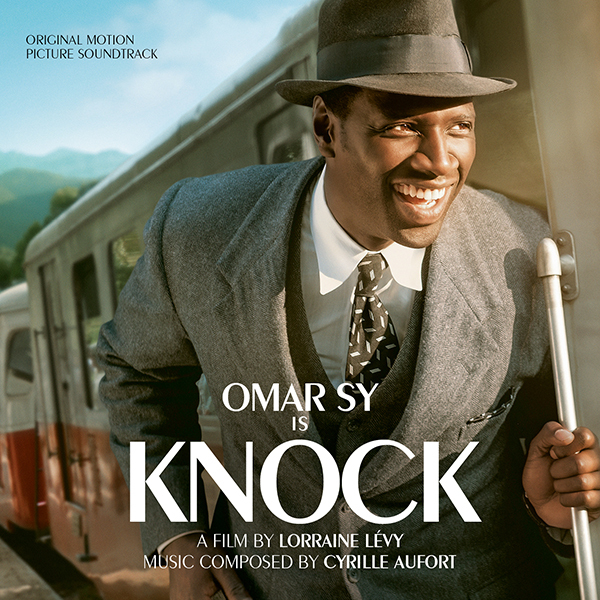 Knock is the first such release: while digital copies will be available through MovieScore Media, the physical copies will be produced by the esteemed Spanish film music specialty label, Quartet Records.